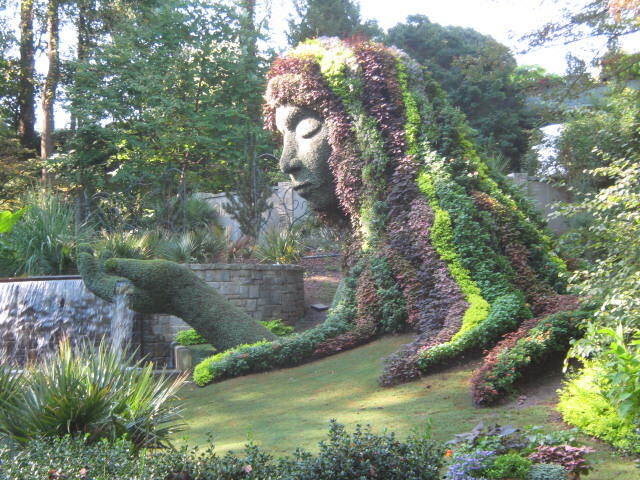 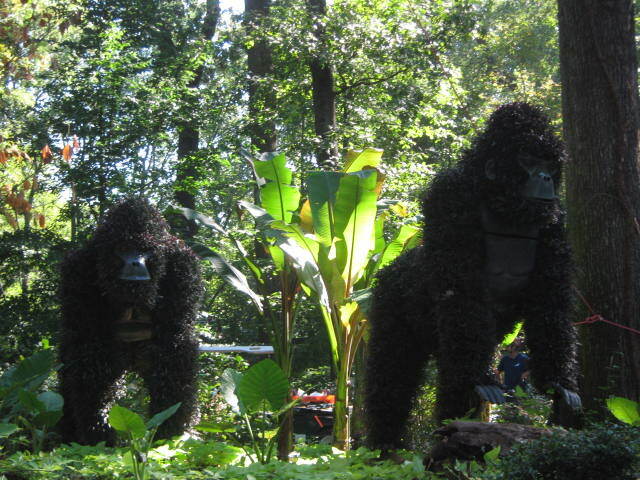 If you are planning to drive south this month to escape our Michigan winter, think about adding a stop at the Atlanta, GA Botanical Gardens to experience their Imaginary Worlds exhibition. 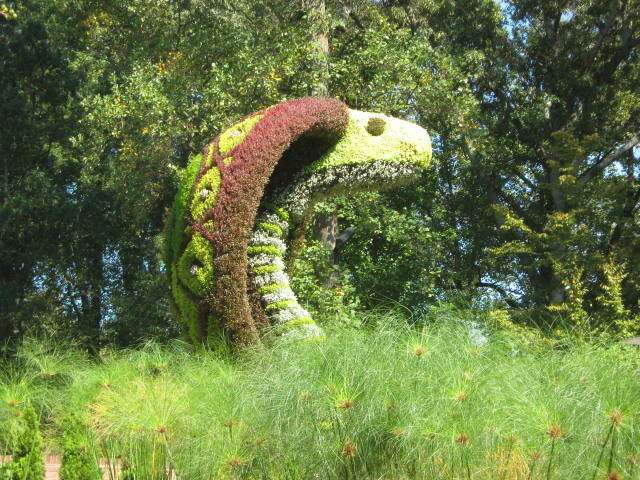 Thousands of annuals are growing on metal forms covered with netting and growing medium to bring to life these fanciful sculptures. 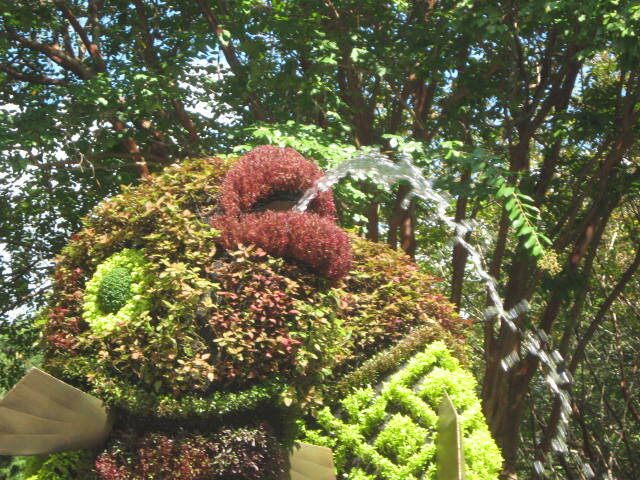 Plants and water together create a wonderful effect. 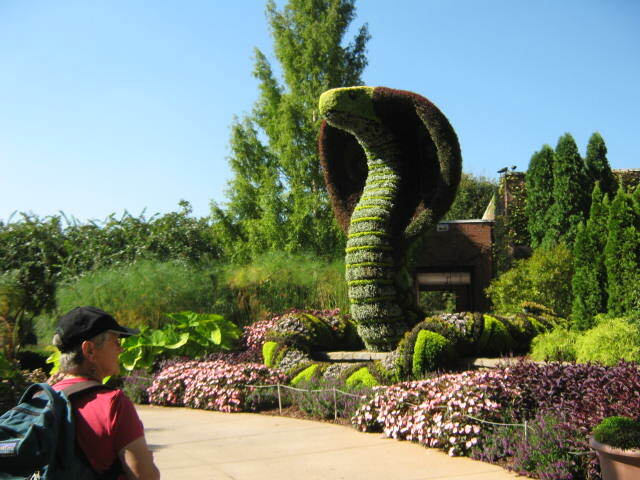 Not much time is left though, the giant topiary exhibition closes at the end of October.